We all know that Facebook Implemented Timeline Feature for all people. Some people liked it and some people really hated it. Firstly people wanted timeline, but after sometime, they started neglecting it and thumbs down for Timeline!! Even Facebook did not give any response on how to Disable Facebook Timeline. Well, Many of my friends too asked me that how can they Remove Facebook Timeline. However, this is now possible using a trick. In this series, I am going to shareHow to Remove Facebook Timeline!!! Open Firefox Browser and Add this User Agent Switcher Addon. After installing it, Restart your browser. Now go to your Facebook Profile. You might be seeing that the page is having errors and unnecessary spaces between them. 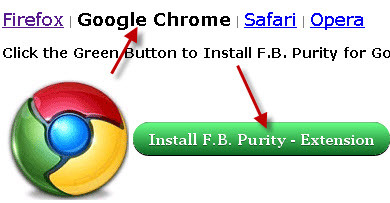 So follow the link and Install FB Purity Extension in your Firefox Browser. So, that's all! Refresh your Facebook profile. And you will be seeing that your old profile look is back! Go to your desktop. 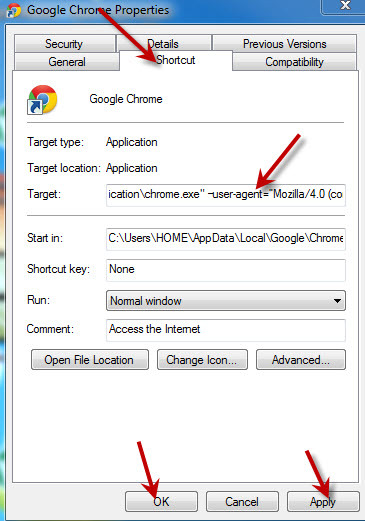 Right Click on Google Chrome's Shortcut and Click on Properties. Now properties Window will open. Go to Shortcut Tab. Now you need to add some changes in theTarget. Code to add For Windows Vista & Windows 7 Users. –user-agent=”Mozilla/4.0 (compatible; MSIE 7.0; Windows NT 6.0)”Code to add for For Windows XP Users. Apply it and Hit OK.
Now go to your Facebook Profile. In this you will be seeing that you are having errors in your timeline. So Now you need to install FB Purity in your Chrome Browser. Refresh your Profile page (Ctrl+F5) !! that's all!! You got rid of Facebook Timeline in Chrome too!! You arent removing anything, just for your eyes only. Tard.